Reconstructive Foot Surgery | Ocean County Foot & Ankle Surgical Associates, P.C. 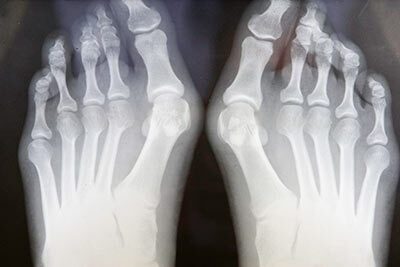 Your foot is a complicated structure full of bones, joints, ligaments and muscles. When it’s damaged due to an illness or injury, foot reconstruction surgery may be necessary to correct your foot’s structure and restore its natural function to maintain your quality of life. When it comes to reliable foot surgery, you can trust Ocean County Foot & Ankle Surgical Associates, P.C. Our dedicated team of highly skilled foot and ankle surgeons proudly serve residents in Ocean County, New Jersey and beyond, with outstanding patient care and impeccable results. Our board-certified physicians have the knowledge, skills and resources to perform all types of reconstructive foot surgeries. We utilize state-of-the-art facilities and choose the most ideal surgical option based on the patient's age, foot disorder being treated, duration and severity of symptoms and underlying medical conditions that could impact the procedure or outcome. Our primary objective is to reduce your pain and restore your foot back to its natural function and appearance.